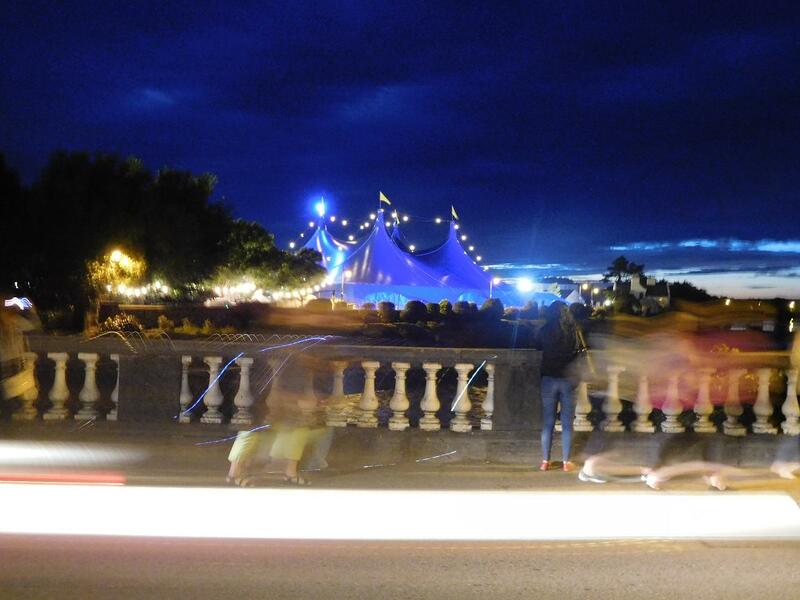 It's the busiest time of the year in Galway: the arts festival is immediately followed by the horse racing festival. For the best of both worlds catch the conclusion of the former and the start of the racing week. Now that Galway no longer has an airport I tend to spend a night in Dublin before taking the train from Heuston the following morning. The Dublin evening in question offered racing at Leopardstown with live music following the sport. When I tell you that short-priced favourites won five of the seven races you'll know I didn't do any good as, generally speaking, I don't back favourites. Ryan Moore came over to ride a treble for AOB. Not much to report on the betting front except a strange market move in the stayers' handicap. As I was searching for a couple of value bets on the tote close to the off, Tara Dylan went from 33.0 to 4.0 in a matter of seconds. What would cause a plunge like that? Connections? In any event the horse won comfortably @ 25/1 ultimately returning 10.30 on the tote. If you wanted to get a lump on surely you could have got a better aggregate price than 9/1 in the ring? The betfair SP was 40.0. Despite arriving during the support act (Lisa O'Neill) we managed to get a couple of decent seats in row three. It was a bit like a festival enclosure with the all-seater Big-Top surrounded by various food and drink outlets for ticket holders only. A splendid atmosphere. On Saturday afternoon we had tickets for another sold-out production: Beckett's famous "Waiting For Godot" staged in the atmospheric Druid's Theatre. Superb production. The evening meal was booked at Pearla na Mara (http://pearlanamara.ie/) where we had enjoyed an excellent (halibut) dinner last year. This year's meal was to prove just as good with perfectly cooked monkfish the "catch of the day" this time. Of course we had to drink the Anne de Joyeuse Chardonnay with the fish as a key part of the wine list description read: "combines perfectly with all kinds of fish, especially monkfish”! 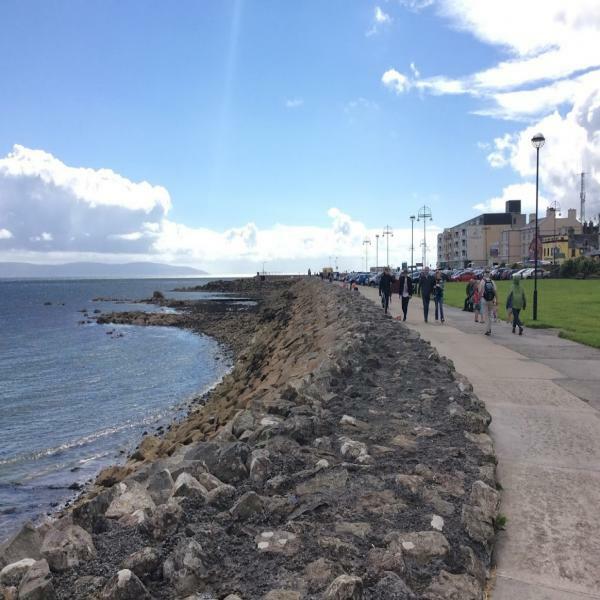 Sunday's cultural delight was a new play by Enda Walsh called "Arlington" which was staged in the leisure centre in Salthill a pleasant 30-minute promenade walk (2.5km) from the city centre. Two days' racing were ahead of us at the Ballybrit track and the requirement was very much to remain focused. Once you get into that punting atmosphere it's easy to get carried away. We had an edge, we thought, in a couple of races and ideally that was what we should be concentrating on. Getting out to the track is easy enough. It's about a 15-minute drive from the centre. A fleet of race busses depart from Eyre Square starting around two hours before first race time. Adult return ticket is nine euro. Monday/Tuesday entrance was priced at 20/25 euro but there was a deal for students/seniors at a very reasonable10/15 euro. Compare and contrast my local track Ludlow where seniors used to receive a voucher for a cup of tea (!) but where there are no longer any relevant concessions. Entrance plus racecard: Ludlow any day £22 all enclosures. Galway (seniors) Monday £11.30, Tuesday £15.60 (at 1.15 exchange rate). I know where the value lies and where I'd rather be! Monday's card consisted of seven races commencing at 17:15. It was race four that was of particular interest to us, the seven-furlong handicap. Fifteen runners and three reserves. In the early-price betting several bookmakers advertised 1/4 odds 1234. This was misleading as no more than 15 would run and inevitably the ew settlement would revert to 1/4 odds 123. I challenged the staff in both PP and Boyle Galway shops on this. The PP manager admitted the advertising was misleading. The Boyles chap initially claimed the terms were correct "at the moment" but eventually agreed it was misleading. What made the situation even more confusing was that PP shops ran a promo on this race last year in which they promised to pay on the fourth place - irrespective of the number of runners. In fact I backed Hat Alnasar ew with them (which finished fourth of the 14 runners at 16/1) and was paid out. My friend had exactly the same bet in Boyles but didn't get paid. So on to our analysis of this year's race. Readers of my previous articles about Galway races will have noted my comments about the low draw bias in seven-furlong races. 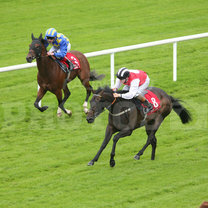 The favourite in Monday's handicap was DK Weld's Heartful drawn 15/15. In his preview of the race in the Racing Post the King of Ballybrit wrote that horses drawn 15/15 in seven-furlong races cannot win. Ironically had he looked at last year's race result he would have remembered that his runner drawn two finished second - to the horse drawn 15/15! In any event his runner would be over bet and make the market. The runners to concentrate on were Flowerhill Nova (drawn one) and Spruce Meadows (two). They were not unfancied in this competitive handicap at 10/1 and 8/1 in the early price market. Our two selections were well supported. The winner’s SP was only 5/1 with the runner-up 8/1. Decent early bets on the winner at 8/1 and copped the reverse forecast too. This was very much the main event for us and other bets on the card were insignificant not affecting the day’s profits. The Tuesday followed a similar pattern: 17:15 start and seven races one of which was a seven-furlong handicap. This time the field was 16-runners plus three reserves. So unlike Monday it seemed highly likely that16 would line up. We backed the horses berthed in one and two again – ew – but this time the favourite was drawn in four so much more likely to play a part. I had a substantial ew bet on Chestnut Fire (one draw) at 16/1. It was backed into 6/1 but could only finish sixth. I also backed Liberty Jack (two) at 20/1 but he could only finish tenth at 14/1. Rather different to yesterday’s result! In addition to the losing single bets, we had had some forecast combination bets involving 1/2/3 draw (losers) plus some forecasts with the favourite bankered (Beau Satchel, 11/4f drawn four) to beat 1/2/3 (losers) The favourite won with the first four home drawn 4/5/3/8: SPs 11/4, 16/1, 20/1, 10/1 (16 ran). So it looked like a betting blow-out with the first & third placed forecast the closest to a return. So there we have it: £312.93 for 50p unit and consequently a profit on the race. Our tote bets did not prove profitable overall for Tuesday but the tricast return meant Tuesday losses were kept to a minimum. Significant profit across the two days though thanks to Monday’s dream race. It had been wet on Monday and even wetter on Tuesday but that had not dampened our enthusiasm for the excellent entertainment at the track. And hopefully all the Galway racing festivals in between now and then….!! P.S. Wealth warning: you won’t do as well as this in every 7-f Galway handicap (as mentioned earlier 15/15 can win!) and as the week went on and the ground worsened the remaining 7-f races proved to be no good at all.